Directed by ‘one of the most important feminist artists working in Britain today’ (The Observer), SHUT DOWN explores the spectrum of modern day masculinity and investigates the pressures, contradictions and confusions of being a man. 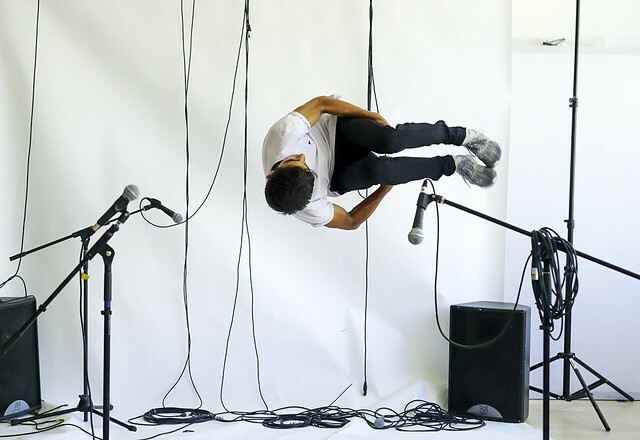 Vincent Dance Theatre’s first ever all male production is timely, humorous and highly charged ‘political and poetic dance theatre’ (London Dance), from one of the UK’s most risk-taking and rigorous choreographers. Dance, spoken word, rap and real-life testimony collide to ask: what is it like to live as a man today? SHUT DOWN premiered live in London in November 2017 (see trailer above) and will tour across the UK spring 2019. SHUT DOWN is the brother work to VIRGIN TERRITORY (2016/17), supported by Esmée Fairbairn Foundation, Sussex Community Foundation and Chalk Cliff Trust. VDT is a National Portfolio Organisation, funded by Arts Council England and Associate Company at Brighton Dome and Festival.